Conflict is a natural part of working in teams. But not a fun one. As a leader, it’s your job to guide a diverse group of people with different skills, motivations, and personalities toward a common goal. Except it’s not just their workflow you end up managing – it’s also their emotions. Unsurprisingly, dealing with conflict between employees is a stumbling block that trips up managers of all experience levels every day. What’s more – it’s only one of the many situations where pure intellect and technical expertise aren’t going to do you much good. Enter Emotional Intelligence (also known as IQ’s counterpart, EQ), a key skill-set that’s increasingly being recognized as the main ingredient in successful leaders. Similar to how IQ represents the measure of a person’s intelligence, EQ gauges the understanding of one’s own emotions, as well as those of the people around them. If you’re looking to develop those Social Skills and become a conflict manager by building on what you learn in this post, sign up for our free Emotional Intelligence Email Course. Designed by experts, each of the five lessons cover a different domain, how you can apply it in your day-to-day, and provides guides, templates, additional resources & exercises that you can start putting to use immediately. 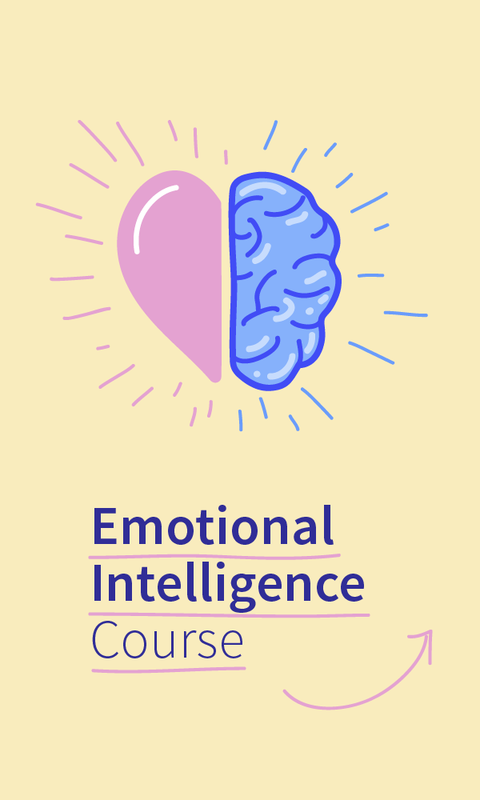 Learn the 5 skills that will help you influence your team, manage conflict, and master your workplace relationships with our FREE Emotional Intelligence Email Course. Now let’s get into some strategies and specifics. Is the Conflict Hot or Cold? Curious how your Social Skills and Emotional Intelligence stack up? Download our FREE EQ Self-Assessment and find out today! What are the Conflict Styles of the Employees Involved? As a manager, it’s your job to observe and know your team so you can more easily generate a game-plan if conflict arises. Understanding whether the stakeholders are avoiders (uncomfortable butting heads with coworkers) or seekers (willing or eager to engage in disagreements) can give you a window into how the conflict might play out, and the different strategies you can employ to help solve it. The Harvard Business Review offers some great insights in their breakdown of avoider/seeker combinations and how to approach each one. Encourage the Seeker to be patient should the pace of the conversation slow. How Can I Focus on the Problem, Not the People? Now that you have a better idea how to consider and approach conflicts, let’s add a few more tactics to your arsenal for resolving them. Every conflict is unique and what works for one may not work for the other, so flex those social skills, understand where each stakeholder is coming from, and work to influence a positive change over the situation. If you’re mediating a conflict between two employees, you’re going to need them to empathize with each other on some level before resolution becomes reality. In advance of sitting them down, encourage each to brush up on the finer points of active listening so they can come prepared. Active listening is all about really opening yourself up to what another person is saying, and not just waiting for your turn to talk – which most of us do. Active listening involves giving the other person the chance to express their opinion, having the control to not react impulsively to anything that’s said, and repeating back each other’s main points as a show that statements have honestly been heard, and more importantly understood. Check out this article from Fast Company for more on active listing basics. Sometimes a simple change of scenery can go a long way. Since the conflict started in the workplace, a little separation from the setting can often calm the nerves and get conversation flowing. If based on the stakeholders, you believe there’s an opportunity for them to resolve things on their own, suggest they grab lunch together at a restaurant away from the office. If you think the situation needs a third party, join them. A more relaxed backdrop will probably help things feel less formal, and ideally more social and friendly. Put the bill on the company dime if possible and help show that the effort they’re putting in is appreciated. As Forbes points out, sometimes a conflict between two people has the potential to pull others into its wake and create divisions within your team as a whole. If that’s the case, don’t be afraid to counter this by having the resolution come from the team itself. Positively dealing with conflict is often what leads to team-wide improvement, so implicate everyone and get them invested in brainstorming a solution that will help them work better together as a unit, while also avoiding similar conflicts in the future. Conflict solutions that come of out a team brainstorm often also have a better chance at sticking, since everyone was aware, present, in agreement, and therefore on the hook for honoring the resolution. The best resolutions tend to be the ones that come from the stakeholders themselves. Conversations can take place, and opinions can be communicated, but unless the two parties can commit to making certain changes, there’s a good chance the conflict will flare up again. Have each participant (or the whole team depending on the situation) come to the table with a few concrete ideas each on how to positively move the issue forward. While you may have to help shape these ideas as they emerge, Fast Company suggests trying to make the solutions process-related (we need a better way to make sure everyone is heard) vs. personal (Janet needs to do a better job of speaking up), which helps also make them more easily actionable. At the same time, get the stakeholders to agree on a maximum of three of these actions to create change that’s realistic, attainable, and not overwhelming. Sometimes, it’s good to accept that things won’t always work out the way we want them to. Maybe you’ve tried everything on this list. Maybe you found another list and tried that too. But the change you’re looking for just isn’t materializing. In these moments, it’s important to appreciate that you could be doing all the right things, but some people just weren’t meant to work together. If you’ve come at the conflict head-on and run into a wall every time, the moment for expending more resources, energy, and time may be over. Consider exploring possibilities of reassigning a team member elsewhere within your organization if you truly believe it may be a better fit for them, and for the rest of the group. As a manager, working out conflict within your team should generally be your aim. You’re the closest to them and you probably understand them, their grievances, and motivations better than an outside third party. But there are times when everyone can benefit from a little backup, and connecting with HR, whether for advice or intervention can be exactly what the situation requires. Start out by using them as a sounding board to get an objective opinion since you might be too close to the conflict to see it from a certain angle. And if the employee conflict is particularly difficult, don’t be afraid to hand over the reins, or agree to tackle it together. You may even learn a different approach for the future! Have a Conflict Management Style That Works for You? Share Your Story Below!